John Decker models a beautifully detailed, freelanced railroad set in 1932. 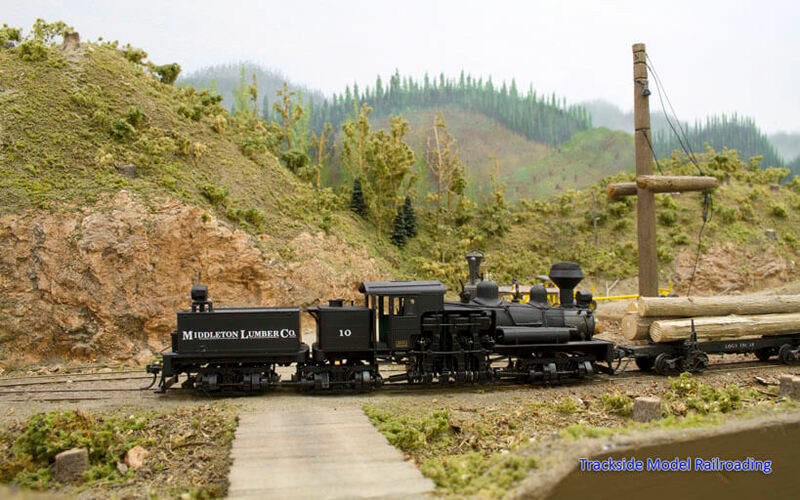 His HO scale layout models the Glory Bee & Middleton Railroad Company and its subsidiaries Middleton Lumber and Silver Creek Northern. It connects the mythical town of Glory Bee in the Cascade Mountains with the coastal towns of Middleton and Westport, Washington. The GB&M is a switching layout built for operations and the railroad hauls mixed freight, ore, and lumber. There are two videos of the GB&M in action. One is an operating session that we attended. 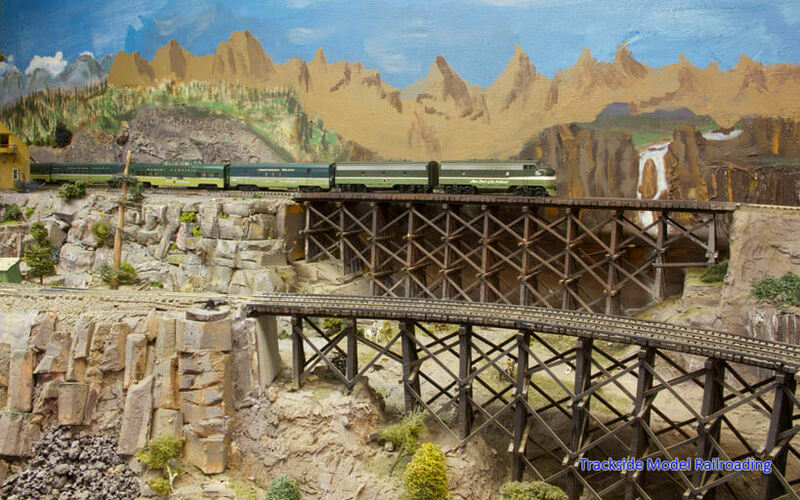 Set in the Camas Prairie of north central Idaho and southeastern Washington, Lee Knapp's HO scale layout runs the Northern Pacific. 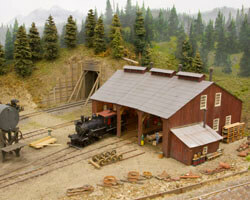 The layout serves the agriculture, mining, and logging industry as well as running excursion trains over the wooden trestles along the prairie and into the mountains. 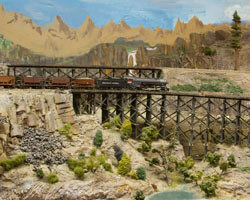 We have included a video of Lee's layout along with the article and photos. This month we show you how to create rust spots on your equipment using granulated salt. 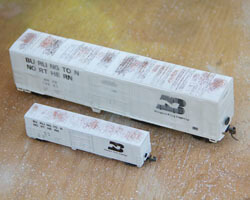 This is a simple project that is suitable for any modeler who owns an airbrush. A video is included showing you each step of the process. You can apply the technique to rolling stock, locomotives, vehicles, or any structure on your model railroad layout. HO Scale Glory Bee & Middleton Railroad Co.